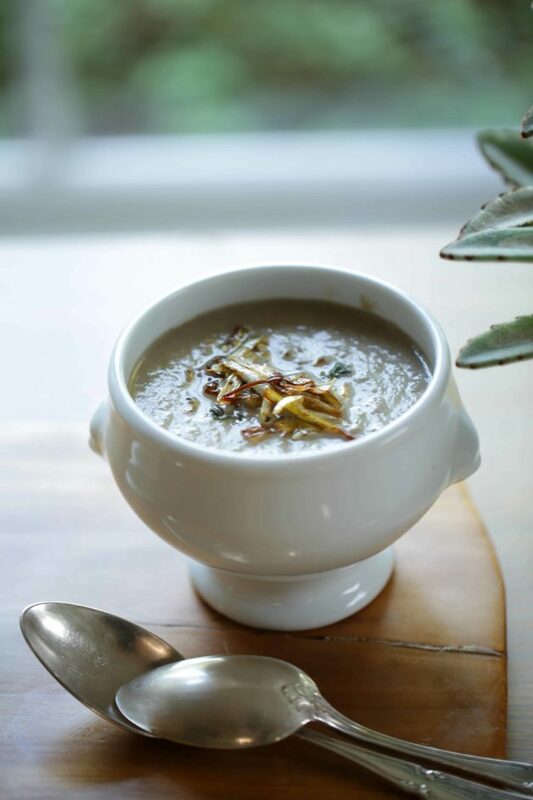 It’s now officially fall soup season and I thought I’d lick things off with this little gem! 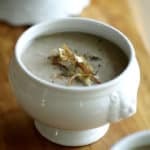 My Cream of Mushroom Soup with Crispy Leeks. 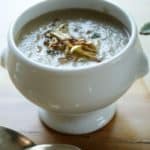 It’s a very simple soup to make, and comes together in under 30 minutes or less. But the flavors are so heartwarming and earthy. Feels like a warm cozy blanket. I like to use the pre-sliced cremini mushrooms from Trader Joe’s because it makes this soup even easier! 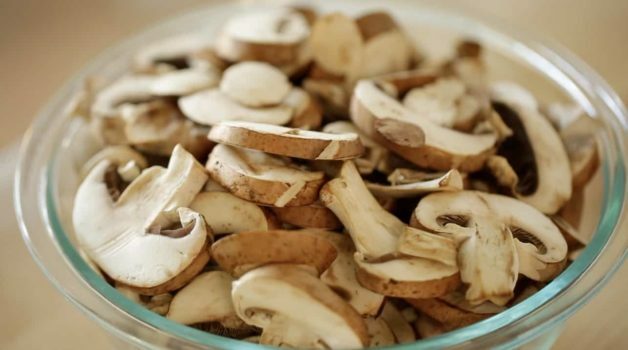 But you could also use white button mushrooms and slice them yourself if needed. Once you saute up the vegetables, you just need to blend it up. You could leave it a bit chunky if you wish for a more rustic texture, but I prefer to take it all the way to a smooth puree. Then the finishing touch are the delicious crispy leeks! Which are so easy to do. 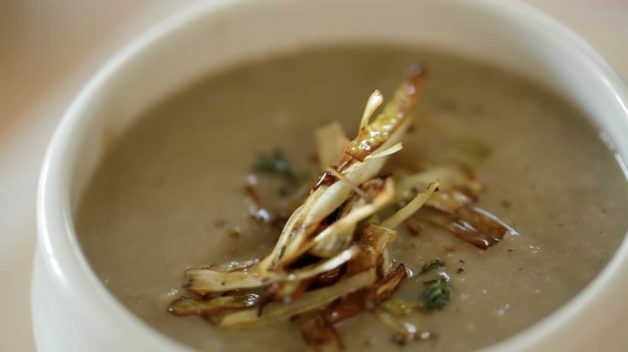 In fact, you could make the soup a day or so before, re-heat and then all you would have to do is fry the leeks. It’s makes for a beautiful garnish and creates such a lovely presentation. It’s also a great flavor combination to the earthy mushrooms. 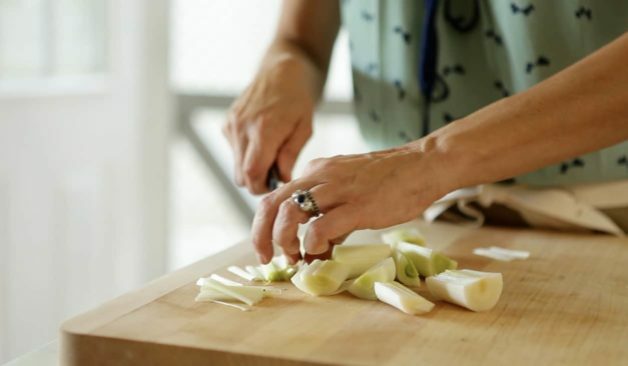 Just be sure to slice the leeks into tiny strips. They work better that way as a garnish. 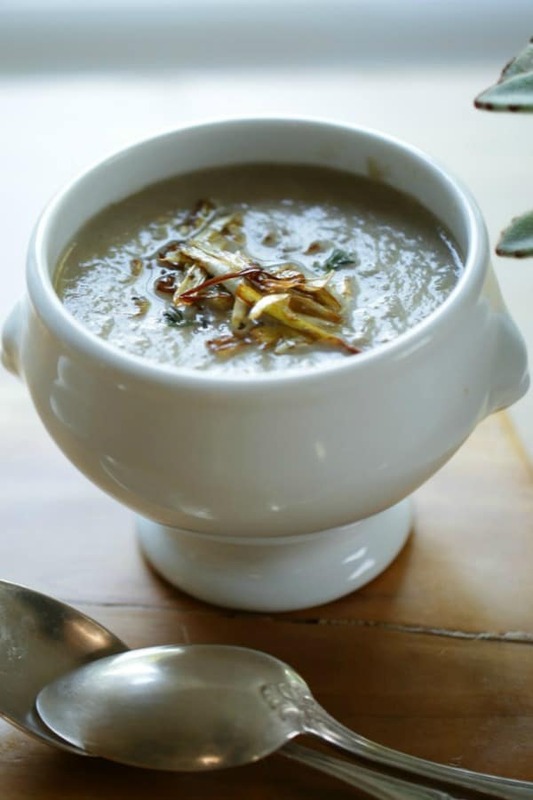 A delicious cream of mushroom soup recipe that’s so easy it’s perfect for a weeknight meal! In a large stock pot melt butter until foamy, add the 2 chopped leeks, onion and garlic. Season with salt and pepper to taste. Cook until soft and tender. Add mushrooms and cook until mushrooms release their juices. Add thyme. Add chicken stock and simmer for 5 minutes. 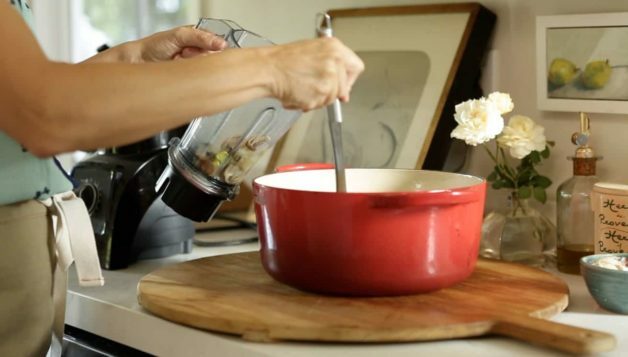 Transfer soup to a blender and blend in batches until smooth. Transfer soup into a cleaned-out stock pot. Add cream. Set aside. Heat olive oil on medium high in a large skillet. Add leeks and sauté until golden brown and crispy. Season with salt and pepper. 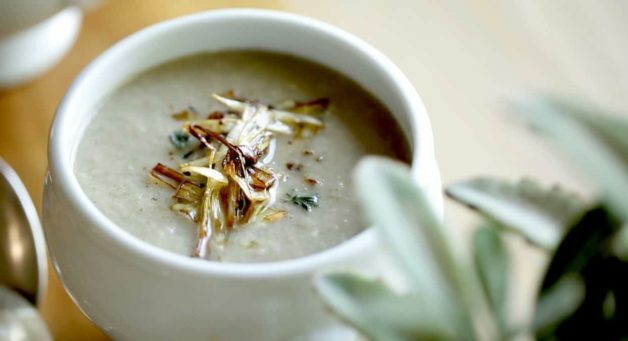 Ladle soup into bowls, top with freshly grated pepper and thyme leaves and a pile of crispy leeks on top. Yummy! !